Following my subtotal colectomy in August; my IBD team recommended returning to Vedolizumab. We decided to call it quits later on in January; pursuing a surgical option at Good Hope and a second opinion at Nottingham Queens. That was probably the mistake we all would come to regret in August. 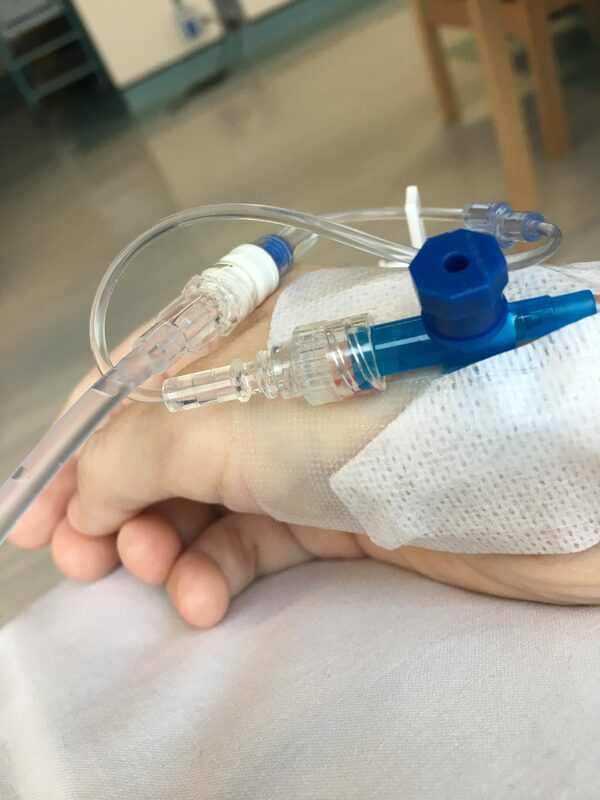 After the agony of going through with a Right Hemicolectomy and then my horrible ‘recovery period’; it was concluded that Vedolizumab had indeed been working, if the results of my colonoscopies were anything to go by. There was one done in March and then again in August and the difference was completely and utterly shocking: healthy colon and 99% sparing compared to a blood filled and deeply cobblestoned colon not six months later. So here we are, one colon less but with a wonderful ileostomy later, to try this drug again. 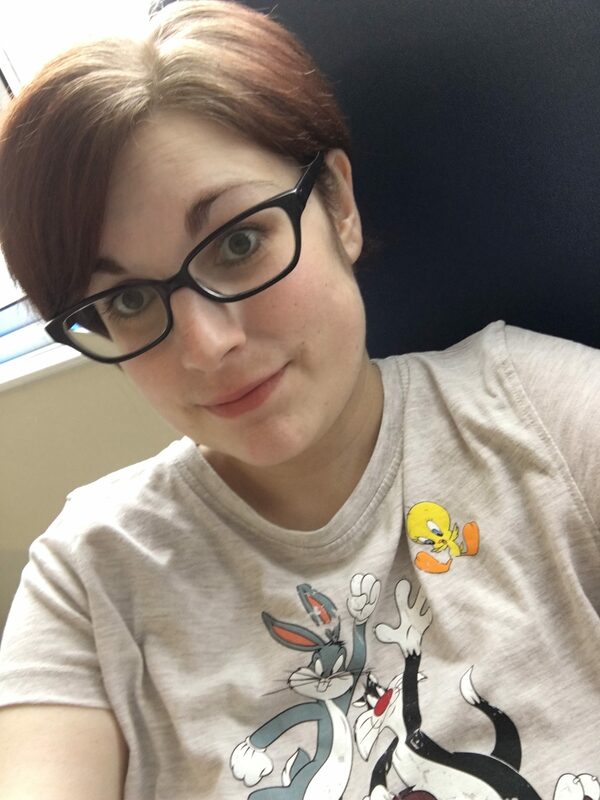 Given the history of how my disease progresses, it was prudent to be on Crohn’s medication ‘just in case’ and to keep anything that could occur ‘at bay’. I admit, I was very sceptically when it finally came around to having this medication administered. I was happy enough to go ahead when I was notified about this plan whilst in hospital recovering from my subtotal colectomy. I was the healthiest I’d been in a very long time; I didn’t want to ruin that by taking something that could potential affect that in a negative way. But, I could also see the logic in taking it: I was pre-empting any attempt my disease could have to attack me again. It was unlikely to happen so soon after surgery but they had reassured me once before that surgery would help and it didn’t; it had only made me worse. I was better to be protected than left vulnerable to my Crohn’s flaring before I could receive anything to help. 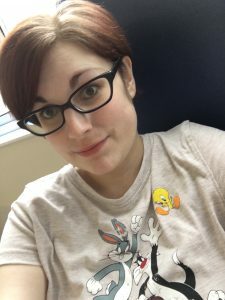 I suppose in a way, my ileostomy journey made me more of a priority to my IBD team; I really had been very sick and they wanted to avoid making the same mistakes again. Good; we were finally on the right page and moving in the right direction. 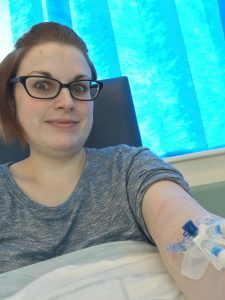 My previous attempt with Vedolizumab lasted just short of three months – receiving the three loading doses and one scheduled dose – and I hardly felt any effect of the drug in my system – negative or positive. I felt the same after my first infusion on this restart so I wasn’t holding out any hope that it would be any different this time around. I was feeling pretty healthy and happy from having my diseased colon out; I doubt I would have noticed. But once I had my second infusion two weeks after my first – October 10th – I was definitely feeling something. Was this hope, maybe? Infusion two happened on Monday and it wiped me out for the rest of the day and the following 36 hours. Only today do I feel really capable of doing more than just resting up. I am taking this as a good, preliminary step forward. I don’t think I will ever really stop doubting that this is working for me. Statistically; only 1 in 4 patients have a response to this drug. It has a now 20 week cut of period to determine if its working because it targets white cells specifically in the gut; compared to Anti-TNF drugs such as Humira and Infliximab which target a specific part of every cell meaning its responsiveness is felt quicker by the patient. You can’t test the effectiveness or the levels of Veolziumab in the patient’s system like other biologicals either; the only data to go on is blood work – CRP, FBC, U&E’s and LFTs – and if a patient is symptomatic. It’s also quite expensive; almost £3,000 per infusion. Would I be better off not having it? Am I doing myself more harm than good? Good questions; something we’ll never really know for sure because it’s such an unknown. There is no chance of a do-over. Every decision comes with its own risks and benefits. Determining which way you move forward depends on if the benefits outweigh the risks and by how much. I’ve done it for so long now, it’s almost become second nature. It’s the one thing that keeps you on your toes as a patient with a chronic illness; things are always changing – either medications fail to work, your body or disease stops them from working or new and different treatment options open up – it’s the battle you didn’t choose to fight. But it’s necessary. Please remember, what works for me, might not necessarily work for you. All medical decisions should be discussed with a Gastroenterologist or treating physician.